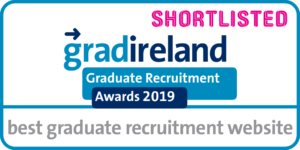 For Purpose is delighted to announce that we have been shortlisted for the gradireland Graduate Recruitment Awards 2019 in the category of best graduate recruitment website! The For Purpose team will be attending the awards night taking place on the 25th of April in the Mansion House. This nomination is a huge achievement for us and is a milestone for the progress we have made following on from the launch of For Purpose in October 2018. We have partnered with some brilliant organisations to provide graduate opportunities across the not-for-profit sector in fundraising, communications, marketing, housing management and property surveying. 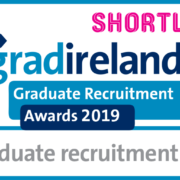 We are very excited for the awards night and look forward to representing Ireland’s not-for-profit graduate programme at the awards! For Purpose is delighted to announce the launch of our first recruitment campaign for multiple roles in property surveying! 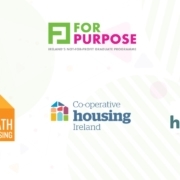 We have partnered with three of Ireland’s largest Approved Housing Bodies (AHBs), Clúid Housing, Túath Housing and Co-operative Housing Ireland to recruit and train 3 graduate surveyors as part of the For Purpose programme. AHB organisations provide and manage social rented housing to tenants who are in need of housing but are unable to provide their own. AHBs work closely with local authorities, providing alternative housing to people who are typically on the local authority waiting list for housing. The programme will offer comprehensive learning and develop opportunities including a pathway to receiving accreditation from the Society of Chartered Surveyors Ireland (SCSI), one-to-one mentoring, monthly training on professional skills and social housing knowledge, roundtable sessions as well as peer-led learning sessions. The programme offers graduate trainees the chance to make a real impact on addressing Ireland’s social housing needs. If you’re interested in applying to be a graduate surveyor on the For Purpose programme take a look here for more information. 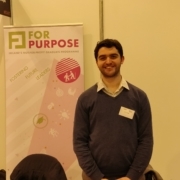 If your organisation would like further information about how to become a part of the For Purpose programme please contact For Purpose Manager Adrian McCarthy at adrian.mccarthy@forpurpose.ie or on 01-234-3135.
https://www.forpurpose.ie/wp-content/uploads/For-Purpose-Live-.jpg 720 1280 FPadmin https://www.forpurpose.ie/wp-content/uploads/FPlogo.png FPadmin2019-03-06 14:15:392019-03-06 14:16:38For Purpose Recruitment Campaign is Now Live! It has been an eventful year at For Purpose. We are gearing up for the launch of the For Purpose campaign in January 2019, with graduate trainee roles across a range of areas and organisations. 2018 was a significant year for the programme, defined by a number of key moments. In October, the brand of For Purpose was born. 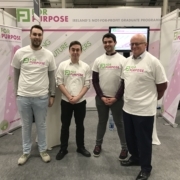 Originating from the 2into3 Not-For-Profit Graduate Programme, For Purpose was established to provide a graduate programme addressing the needs of not-for-profit organisations both large and small and in areas ranging from fundraising to social housing and more. An equal key aim of For Purpose was to offer an entry point for graduates who are seeking purpose into the sector and to provide them with the support and training necessary as this key stage in their careers. Many graduates often acquire a spark for the sector by taking part in voluntary events while in college, whether that is through joining a charitable society or taking part in a fundraising event. However, what happens after they graduate? 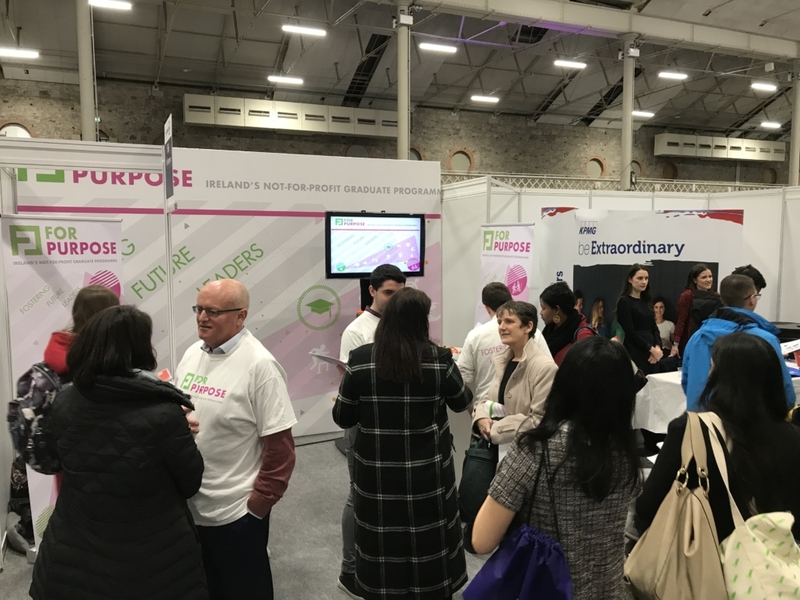 With this in mind, For Purpose was launched at the Grad Ireland Careers Fair to communicate to graduates that there is a career path open to them in the sector and there is a place to apply their sense of purpose. After receiving very positive feedback from organisations, graduates and students we are excited about what’s to come in 2019. 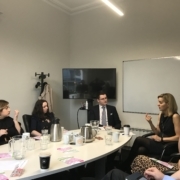 In addition to the launch of the For Purpose brand this year, we also hosted a series of roundtable sessions for graduate trainees on the programme over the year, covering a broad range of topics from governance to social entrepreneurship and philanthropy in Ireland. 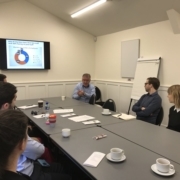 The sessions offered an opportunity for graduate trainees to learn about topical issues which have a direct impact on their organisations as well as the chance to connect with other trainees on the programme. We have already begun scheduling our series for 2019 and we will be announcing this early in the New Year. In 2018, we had a total of 8 graduates joining the sector in organisations such as Focus Ireland, Ag Eisteacht, Diabetes Ireland, Action Aid Ireland and Epilepsy Ireland and Sightsavers. Many of our graduates are coming to the end of their traineeships and are greatly looking forward to the next stage of their careers in their organisations. 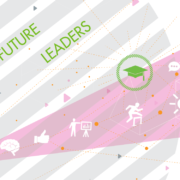 2019 is shaping up to be an even busier year at For Purpose, with more graduate traineeships on offer spanning across the sector. We hope everyone has a wonderful Christmas and we look forward to meeting more graduates and organisations in the new year. https://www.forpurpose.ie/wp-content/uploads/Dlx7PlPWsAA7pP1.jpg 900 1200 FPadmin https://www.forpurpose.ie/wp-content/uploads/FPlogo.png FPadmin2018-12-21 16:47:152018-12-21 16:47:15That's a wrap for this year!